As reported by CnLedger, a trusted cryptocurrency news source in China, the country’s merchants can legally accept crypto as a payment method. According to local reports, the Shenzhen Court of International Arbitration officially recognized Bitcoin as a property, allowing individuals and businesses to own and transfer Bitcoin without being in conflict with existing financial regulations. Katherine Wu, a cryptocurrency researcher at Messari, translated and analyzed court documents released by the Shenzhen Court of International Arbitration to delve into the reasoning behind the decision of the arbitrator to consider Bitcoin as a property. In essence, Wu explained that due to the decentralized nature of Bitcoin that provides financial freedom and economic value to the owner, the asset can be recognized as a property. “The Party contends that Bitcoin has characteristics of a property (SOV), can be controlled by the owner, and has economic value to the owner. It does not break any laws. This arbitrator agrees,” Wu said. As such, the court emphasized that regardless of the legality of Bitcoin and other major cryptocurrencies, the circulation and payment of Bitcoin is not illegal. That means, merchants can freely accept cryptocurrencies as a payment method without breaking the local law. Earlier this month, China’s oldest technology publication Beijing Sci-Tech Report (BSTR), a respected media company in the country, released its plans to accept Bitcoin for its yearly subscription to promote the usage of the blockchain and practical use cases of the dominant cryptocurrency. BSTR revealed that starting 2019, the yearly subscription to its magazine will be sold at a price of 0.01 BTC, worth around $65. If the price of BTC rises substantially in the future, the publication stated that it will compensate its customers. Several hotels in major cities in China have also started to accept cryptocurrencies, one of which branded itself as Ethereum Hotel, providing merits and discounts to those that pay for their services using Ethereum. What Does This Show About China? In consideration of China’s optimistic stance towards blockchain technology and positive comments regarding the sector made by government agencies, it has become more apparent that the government placed a blanket ban on cryptocurrency trading to prevent the devaluation of the Chinese yuan and to limit speculation in the market. But, overall, the government remains open to crypto and the usage of the blockchain to improve existing infrastructures and problems pertaining to software and data settlement. Beijing is still trying to limit speculation in digital currencies roughly one year after banning their sales in "initial coin offerings." 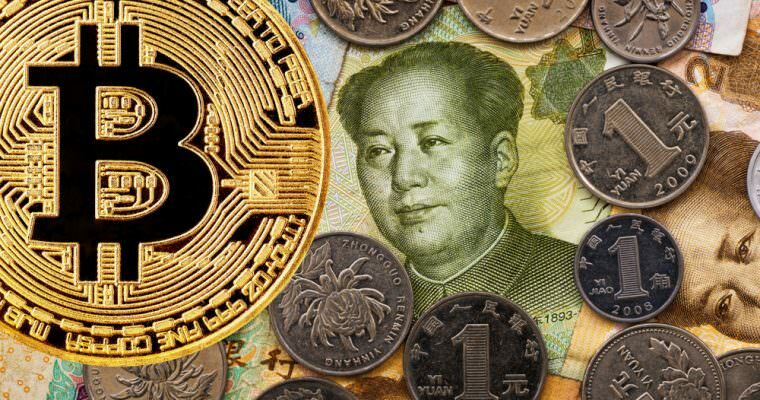 In August, authorities warned about risks from illegal fundraising activities under the guise of "cryptocurrencies," and at least one major business district in Beijing banned promotional cryptocurrency events. So currently china is not allowed cryptocurrency activities. China seems to be a pioneer in various technology usage. And now many countries are following its footsteps. China's optimism towards blockchain technology is to be expected. It is able to make huge leaps and bounds in various industries. Weirdly bitcoin is not illegal in China. Of the many things they have banned, cryptocurrency seems to be on the good side.